All of our performance tuning work has paid off. Serving residents to the west of Calgary, Rocky View Schools has over 16,000 students in grades K-12. It is the sixth largest school district in Alberta, with more than 1000 teaching and 700 support staff. On the first day of school, when all those teachers log in and start editing, their web content management system takes quite a beating. 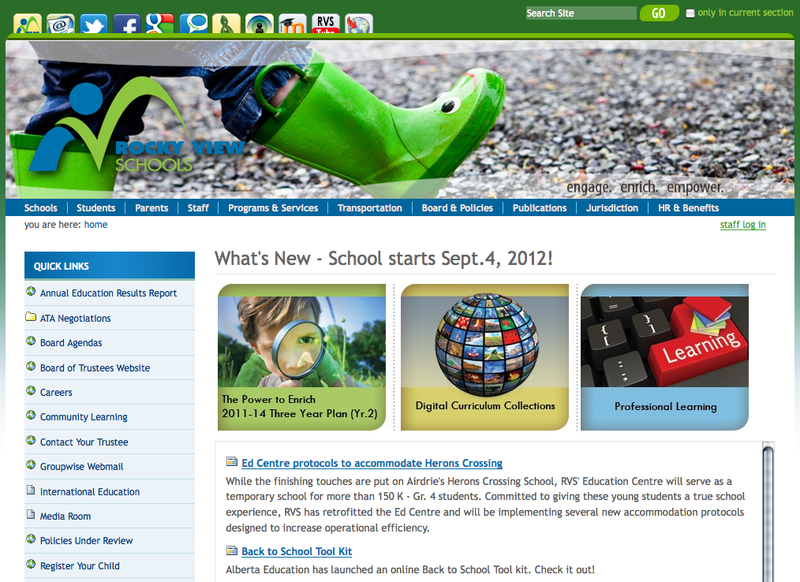 Rocky View Schools chose the open source Plone CMS because it offered them the enterprise-level security and user management features they needed, with no licensing costs attached. When their deployment grew to over 50 sites and began to experience performance issues, they turned to Jazkarta. We performed a fixed price performance assessment and then implemented many of its recommendations. More recently, we migrated the sites to Plone 4 to get further performance benefits and provided technical training to help IT staff be more self-sufficient. The result: a successful first day of school.